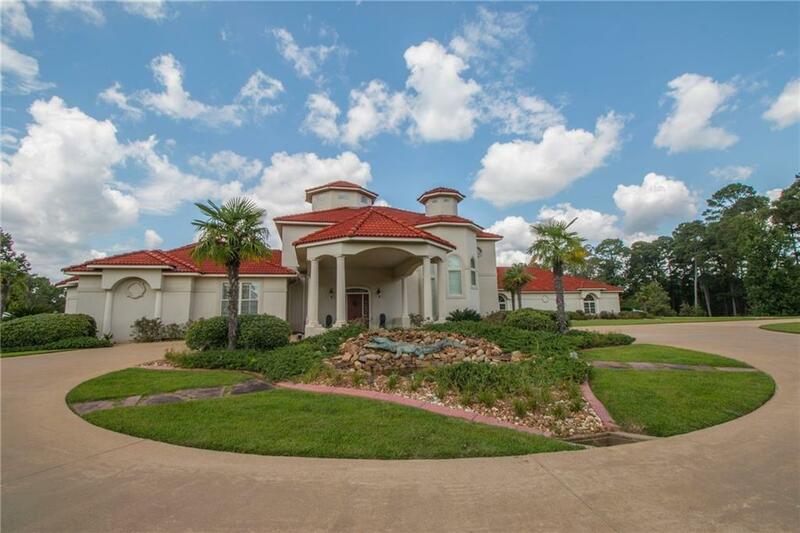 This Mediterranean custom built home on a 22 acre Palatial Estate. 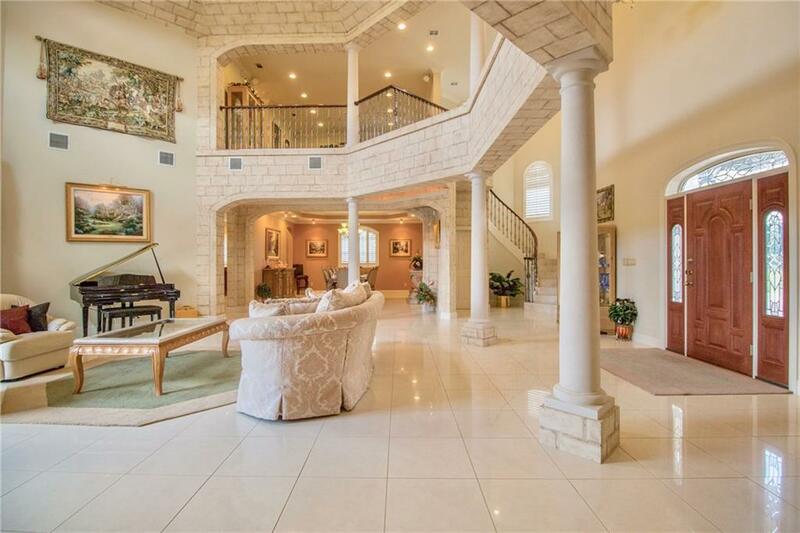 Amazing 45’ cupola entrance that towers from the formal Living Room flanked by columns & custom stone walls. 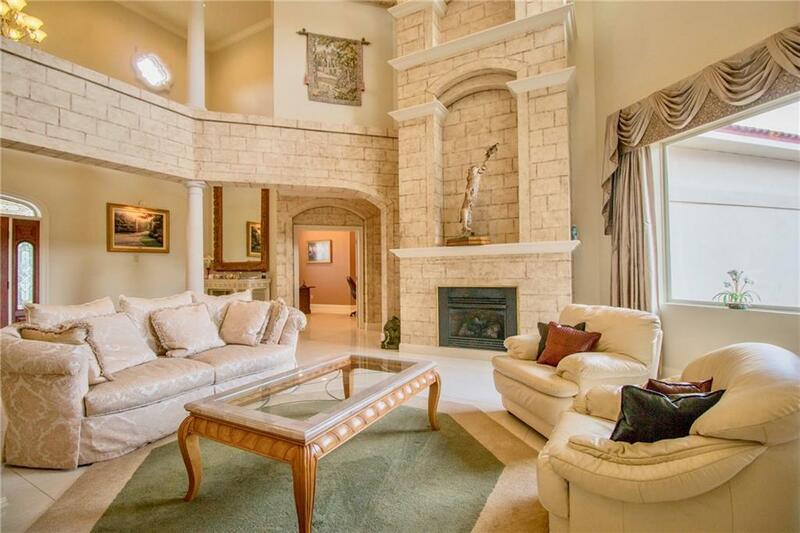 Porcelain floors lead to the winding staircase of the 2nd level living area, 2 BR, full bath & library. The Master bedroom is located on the main floor with amenities of a kitchenette, gas fireplace, sitting area and private patio with hot tub. The exquisite master bath has a dual walk-in shower, soaking tub, bidet, 2 separate his/her water closets and walk-in dressing closets. The kitchen is showcased with Beech Wood cabinets, granite counter top, breakfast bar, keeping room, stainless steel appliances, double ovens, built in ice maker, walk -in pantry and butler's pantry. Plenty of room for entertaining your guest in the deluxe formal dining room. 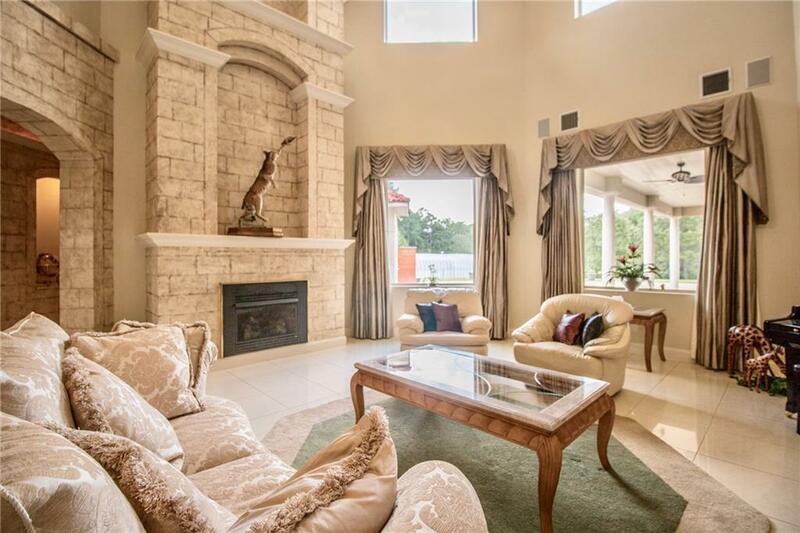 Enjoy the game room/gym, spa room & separate area for "mother-in-law" or "man cave". Listing provided courtesy of Alicia Abels of Coldwell Banker Reap Realty.